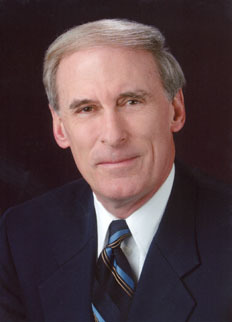 Five-term US Congressman appointed to the US Senate to fill the remainder of Dan Quayle's term in 1989, when Quayle became Vice President of the United States. Elected to a full Senate term in 1992, and did not stand for re-election in 1998. Appointed US Ambassador to Germany by President George W. Bush in 2001, serving until 2005. Elected again to the US Senate in 2010 over US Congressman Brad Ellsworth, to succeed retired Senator Evan Bayh.